I love Christmas jumpers - they are so cute and so quintessentially English. I don't actually have one for myself yet, so I live my Christmas-enthusiasm vicariously through my daughter... 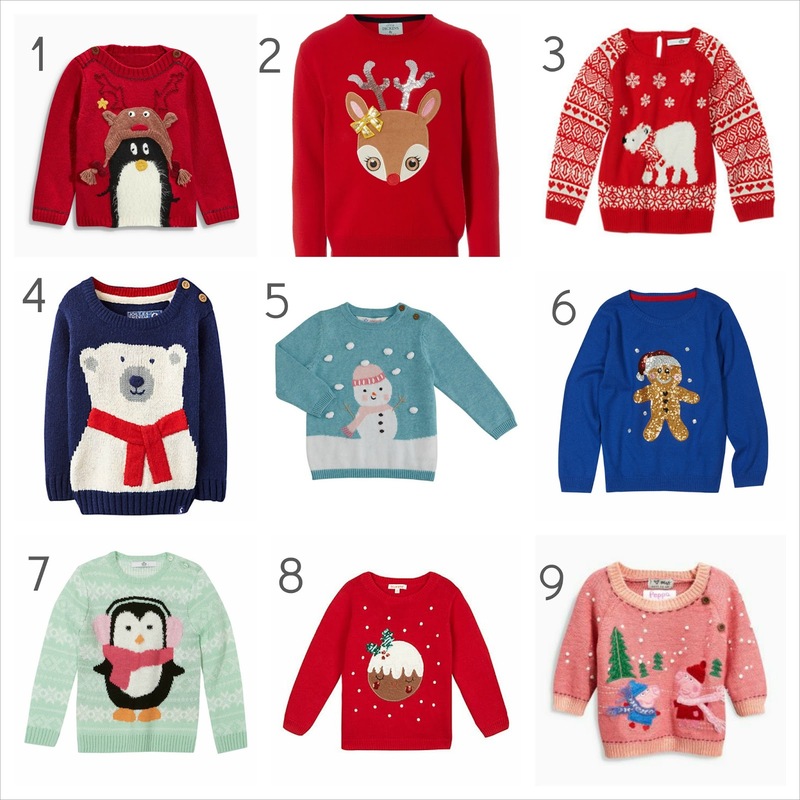 I've been trawling through the Christmas jumper selection this December and here are nine of my favourites. I do love the traditional Fair Isle type sweaters, but this time my eye was drawn towards all these cute little winter animals and characters - they are just adorable! If you are looking for Christmas jumpers in 2017 - hop here for boys and girls Xmas jumpers! Some of these could look good on boys too, but mostly, they are a bit girly, with sequins and sparkle and pink. Guess which one we have? Actually, none of these - I bought one not too long after last Christmas and went for a super traditional and classic. Hopefully I will be able to share some outfit pictures of our Christmas jumper next week - just need to find the darn thing now after packing it away ages ago! Have you already bought a Christmas jumper for the kids? Well number 7 is too cute! I think I might accidentally walk into M&S tomorrow and see if they have it! Ha I know my daughter would absolutely love the Peppa jumper :) we have lots of cardigans and jumpers for her though so it would be a bit silly to get another one... I bet Leah will love it if you end up getting it :) thanks for hosting! There are so many good ones this year - I am sort of glad that we've already got one, as otherwise I think I'd be bankrupt pretty soon! Ha ha. The adult ones are pretty cool too, I haven't bought any yet though... Thanks for hosting! It is lovely and sparkly too! Hope you can find your size soon, would be a bummer to be without a Christmas jumper this Christmas :) You could always order online and pick up from the highstreet shop! It's a good one - we already have a few too so not buying any at the moment. Thanks for hosting!